The Gordon and Betty Moore Foundation and Research Corporation for Science Advancement awarded 5 grants totaling $731k to teams of researchers pursuing "ambitious, high-risk, highly impactful discovery research on untested ideas in physical cell biology." One of the winning teams—composed of Brian Hammer (Georgia Tech), Raghuveer Parthasarathy (University of Oregon) and Joao Xavier (Memorial Sloan-Kettering Cancer Center)—proposed a long term project titled, “Rebooting the Gut Microbial Ecosystem using Bacterial Dueling”. Studies abound linking particular diseases, such as Crohn’s, to the bacteria in our gut. Their project aims to demonstrate that bacterial dueling can be used to eliminate harmful bacteria in the gut and repopulate it with healthy bacteria. To begin, the researchers will introduce vibrio cholerae into a sample of zebrafish. V. cholera is an aggressive bacterium that feeds on chitin, a complex carbohydrate and major component of exoskeletons. Zebrafish, a common sight in home aquariums, is an excellent model organism that also happens to have a taste for chitin-rich zooplankton. When chitin is ingested, some of the sugars are released and sensed by V. cholera, which turns on its dueling machinery. “What this means is that the response to chitin results in the production of a special protein factor (a transcription factor) in each Vibrio cholerae cell that can turn on the dueling machinery,” Dr. Hammer explained. “We can also genetically engineer Vibrio cholerae cells so that this special factor is always produced. These cells do not need chitin to activate dueling; it's on all the time.” Woe unto any microbe squatting alongside V. cholerae. Interestingly, some strains of V. cholerae are especially bellicose, keeping their dueling machinery armed at all times, no chitin required. Using fluorescent microscopy, the scientists will observe and subsequently model V. cholerae’s behavior under various conditions—by using different strains of V. cholerae (those that need chitin and those that are always battle-ready) and by manipulating the presence of chitin and other food sources. The last step in this study will be to repopulate the zebrafish’s gut with microbes found in healthy zebrafish. If successful it “would suggest that we can develop dueling bacteria that could be used in humans to replace harmful bacteria in the gut with healthy ones… Finally, what I think is also really cool about our study is that [by manipulating chitin in the fish’s diet] it may also link the food we eat to how gut microbes interact,” beamed Hammer. In August, Biology assistant professor Patrick McGrath was awarded a 5 year, $1.47 million grant by the National Institutes of Health to study the genetic architecture of aging. Most common diseases have a strong but complex genetic component. Understanding their genetic underpinnings will allow for their predictions and suggest targets for their amelioration. McGrath and colleagues will identify how age and epistasis affect traits in model organisms with the goal of identifying principles that can be applied to better predict the genetic variants responsible for human diseases. A complex mixture of common and rare variants typically shape most biological traits – their exact effects mediated by extensive genetic interactions and organismal age. These observations are mainly correlative as little is known about the mechanisms that generate epistasis and age-dependence. Improved understanding of these processes could identify principles useful for predicting how causal factors act in novel genetic backgrounds and therapeutic techniques to take advantage of their non-linear effects to ameliorate disease. The broad objective of the proposed research is the identification of causative genetic variants affecting reproduction in the round worm C. elegans with age-dependent effect sizes and epistatic interactions. McGrath intends to mechanistically dissect their causes in the context of organ and multicellular circuit function. His team will study how life history changes in sperm number, a limited resource necessary for reproduction, creates age-dependent genetic architecture. Finally, they will study how epistasis and aging are shaped by the function of the underlying neural circuits responsible for the regulation of reproduction. These experiments will leverage C. elegans tractability to identify principles relevant to the study of human diseases. 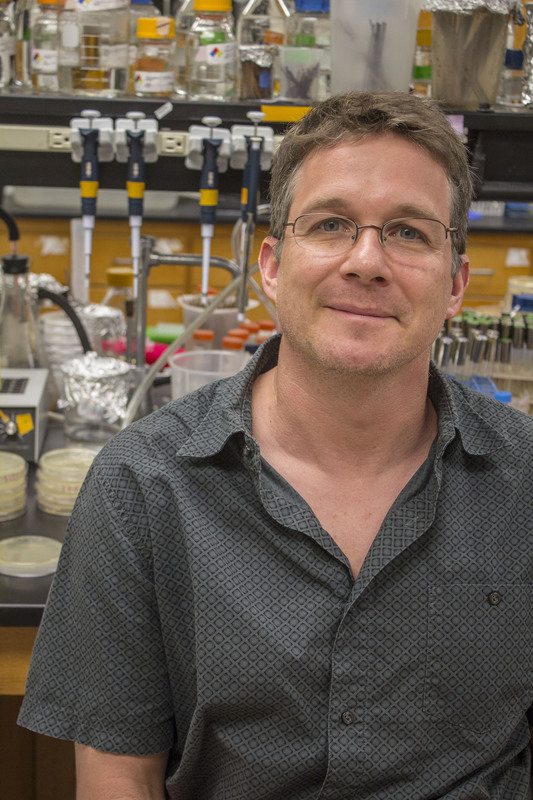 In August, Biology Professor Yury Chernoff was awarded a 3 year NSF Molecular and Cellular Biology grant to investigate the control of heritable protein aggregation by ribosome-associated chaperones. The goal of this research is to investigate how physiological changes regulate protein-based inheritance in yeast. Protein-based heritable elements, in particular fungal prions, are novel kind of genetic elements; they produce heritable changes in their host cells without any change in the DNA of their genes. This occurs by switching between protein isoforms, one of which (prion isoform) is able to reproduce itself by inducing other molecules of the same protein to switch into the same isoform. This project examines how these transitions are aided by another class of proteins, molecular chaperones, whose normal function is to promote correct protein folding and prevent misfolding. Understanding the physiological control of protein-based inheritance may have an impact on the industrial use of yeast and other fungi. 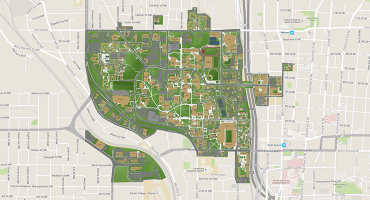 The research team includes graduate and undergraduate students and will strengthen the research infrastructure of Georgia Tech. In August, Biology assistant professor Will Ratcliff and his collaborators received a three year, $562,000 NASA grant to investigate the origin and evolutionary consequences of multicellular life cycles. All multicellular organisms exhibit a characteristic life cycle that alternates between stages of reproduction, growth and development. This life cycle is critical for the evolution of multicellular complexity, playing a central role in transporting fitness from cells to multicellular individuals. Despite their importance, the evolutionary origins of multicellular life cycles are poorly understood. A key factor limiting progress has been the fact that evolutionary transitions to multicellularity on Earth have been both ancient and rare. Using a combination of synthetic biology and experimental evolution, we have created novel multicellular organisms in fungal and algal model systems. This gives us a unique opportunity to investigate the origin of multicellular life cycles, and assess their role in the evolution of complex life. Biologists want to manipulate your mouth to do something extraordinary: grow extra teeth. And they're getting their advice from fish. In the developed world, we often take for granted just how important having healthy teeth is. But in cultures without widespread dental care and fluoridation, the situation can be dire. Worldwide, 30 percent of people will lose all of their teeth by the time they're 60. So while it might sound freaky to convince your jaw to make extra incisors, it could actually vastly improve many people's lives. And fish can already do it. Much like stem cells in humans, certain fish have special cells in their mouth that are extremely flexible; they can form teeth or taste buds, depending on the animal's needs. As a result, cells that are laying dormant can be triggered and differentiated as soon as the fish loses a tooth. That's a lot more clever and adaptive of a system than what humans have: two sets of teeth and no wiggle room if you lose them. "There appear to be developmental switches that will shift the fate of the common epithelial cells to either dental or sensory structures," said Todd Streelman, a professor in the Georgia Tech School of Biology, and coauthor of the study, in a press release. In other words, there appears to be an on/off switch inside every fish's mouth cells. Flip it, and the cell becomes a tooth, leave it, and it becomes a taste bud. The Georgia Tech researchers, along with scientists from King's College London, are studying the embryos of fish called cichlids, who live in Lake Malawi, home to one of the most diverse fish populations in the world. There are over 1,000 cichlid species in the lake, alone. Because there are so many species of these fish in a relatively small area, they have varying adaptations that inform the development of their teeth. Some eat plankton, and only need a few teeth over their lifetimes. Others eat algae, which they have to scrape off of rocks like so much corn on the cob, ruining their teeth as they go. They have to develop new teeth all the time. By comparing these species and checking out the differences in their DNA, the scientists were able to single out the mutations that make it possible to grow extra chompers. Now, the next step is to figure out how the same can be triggered in mammals. But they (probably) won't be actually engineering your grandkids to grow extra teeth. "The more we understand the basic biology of natural processes, the more we can utilize this for developing the next generation of clinical therapeutics: in this case how to generate biological replacement teeth," explained Professor Paul Sharpe, a coauthor from King's College. That could come in the form of cell cultures, laboratory animals or, less likely, turning future generations into fishy freaks. The study was published in the Proceedings of the National Academy of Sciences of the United States. Dr. Chrissy Spencer was appointed an OER Research Fellow for 2015-2016. The William and Flora Hewlett Foundation sponsors OER Research Fellowships to do research on the impact of open educational resources on the cost of education, student success outcomes, patterns of usage of OER, and perceptions of OER. The OER Research Fellowships are competitive, and OER grants are administered and supported by the Open Education Group. Researchers led by a team at the Georgia Institute of Technology (Georgia Tech) have developed an online platform that enables plant scientists to obtain quantitative phenotype information on the root systems of plants imaged in the field. The platform, called Digital Imaging of Root Traits (DIRT), is now hosted by the iPlant Collaborative’s computational infrastructure, as described in a recent publication in the journal Plant Methods. Researchers anywhere in the world with an Internet connection can access the program by logging into an iPlant account. The idea is to expedite and simplify the process of collecting measurements of plant roots in the field, said Alexander Bucksch, a research scientist in Joshua Weitz's group at Georgia Tech, and corresponding author on the paper. “Visual phenotypes of a plant can be computed reproducibly with imaging, including features impractical to measure by hand,” Bucksch explained. The research team spent three years collecting plant root samples at field stations in the United States and South Africa and manually measuring dozens of traits including root density, angles, surface area, number of roots, and many more. They then configured calculations based upon these standardized measurements, to produce a program capable of giving highly accurate measurements for root traits based upon a photograph of roots. To use the platform, a scientist need only lay out the roots next to a marker for scale and take a photograph, and the program will provide many dozens of phenotype measurements. “DIRT provides a pipeline to move from a field-based image to quantitative data as part of studies by academics and breeders alike,” said Joshua Weitz, associate professor of biology and director of the Quantitative Biosciences Graduate Program at Georgia Tech. In response to broad interest in using DIRT in the field, Bucksch and his colleagues approached iPlant to host the platform and make it freely available to researchers anywhere. Through iPlant, a user’s data are secure, so that only the account owner and their collaborators may see the results. This makes DIRT a secure, open-access, time saving tool for botanists everywhere. The program currently works for nearly all plant root systems. “There are certain traits that only work on monocots or dicots, and we are currently exploring more about this,” Bucksch said, explaining that slight differences in the algorithms account for variation in the plant species. Already the platform has a substantial user base, with several scientists regularly using it for their root measurements. “Undergraduate students are using DIRT, a Google group is providing user-to-user support, and at least one citizen scientist is currently using it,” said Bucksch. "DIRT seems especially useful in my work because a plant is a lot like an iceberg: Most of it is totally hidden beneath the surface," said Tim Zebo, a recently retired electronics engineer turned hydroponics and aeroponics systems researcher. Dr. Zebo is analyzing the roots of plants grown in liquid nutrients because, in this era of rapid climate change and major droughts, those plants require less than 10 percent of the water needed for soil-grown plants. He plans to use DIRT to better understand root system architectures to increase production and reduce time to harvest. For plant scientists and breeders, Bucksch said, root traits are key. “The root is important to nutrient uptake,” he said, continuing “and understanding how environmental and growth factors influence root traits is vital to developing crops capable of surviving climate change. Increased food availability and resilience is necessary to accommodate accommodate rapidly increasing global populations. Plant scientists must work together to understand how plant traits – including root structure and function – affect crop survivability and adaptability. Bucksch and co-authors have developed DIRT with this objective in mind and to enhance the science of root systems. Their work was supported, in part, by grants from Georgia Tech, the National Science Foundation, the Howard G. Buffett Foundation and the Burroughs Wellcome Fund. Bucksch also thanks iPlant co-principal investigator Nirav Merchant and iPlant senior projects coordinator Martha Narro for their assistance integrating DIRT on iPlant infrastructure. Abhiram Das, a graduate student studying under Bucksch and Joshua Weitz at the Georgia Institute of Technology, led the effort to develop DIRT prior to receiving his doctorate in Bioinformatics earlier this year. Associate Professor Joshua Weitz has published the first comprehensive book on quantitative viral biology. Quantitative Viral Ecology: Dynamics of Viruses and Their Microbial Hosts establishes a theoretical foundation for modeling and predicting the ecological and evolutionary dynamics that result from the interaction between viruses and their microbial hosts. These go well beyond the viruses we most often think of—influenza, HIV, and Ebola—and include the diverse and abundant viruses that infect single-celled microbes found in oceans, lakes, plants, soil, and animal-associated microbiomes. Weitz's book addresses three major questions: What are viruses of microbes and what do they do to their hosts? How do interactions of a single virus-host pair affect the number and traits of hosts and virus populations? How do virus-host dynamics emerge in natural environments when interactions take place between many viruses and many hosts? Emphasizing how theory and models can provide answers, Weitz offers a cohesive framework for tackling new challenges in the study of viruses and microbes and how they are connected to ecological processes—from the laboratory to the Earth system.